It’s a Bob Kulick album, so you know it’s gonna be good. But this exceeds all expectations. 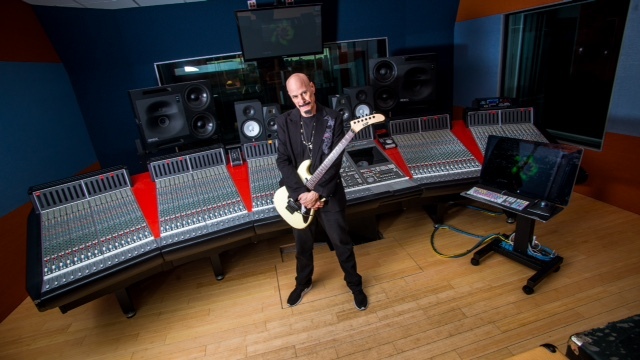 Guitarist Bob Kulick is joined on Skeletons in the Closet by lead vocalists David Glen Eisley, Andrew Freeman, Todd Kerns, Robin McAuley, Dennis St. James, Dee Snider, and Vick Wright; bass players Kjell Benner, Bobby Ferrari, Bruce Kulick, Dennis St. James, Rudy Sarzo, and Chuck Wright; keyboardists Doug Katsaros and Jimmy Waldo; and drummers Vinnie Appice, Frankie Banali, Chuck Burgi, Scot Coogan, Brent Fitz, Bobby Rock, Jay Schellen, and Eric Singer. Talk about an all-star cast! Surrounded by this talented crew of iconic ’80s rock cohorts, Bob has delivered a great, catchy, engaging new ’80s-style rock album. And that’s what really counts. Indeed, as I listen to my album review queue in preparation for writing these reviews, the pedigree of the band is unimportant; the music itself rises and falls on its merits. Needless to say, the music on this album rises. Skeletons in the Closet is a mix of new songs and recordings of material from Bob’s rock ‘n roll past, including a couple songs each from Murderer’s Row and Skull. I won’t pretend to be familiar with Murderer’s Row or Skull; I wouldn’t have known which songs were old vs. new if I hadn’t read the bio. As much as all hard rockers know Bob’s skill, I personally own only a few of the albums he played on. But that puts me in a position to hear all ten of these songs for the first time, like a kid in a candy store, and they’re an awesome collection of sweets. The album kicks off its 10-tune journey with the five new tracks – well, four new tracks and an inspired cover. The included cover of “Goldfinger” is catchy and fun. Vick Wright brings just the right amount of snarl to the vocal, and the familiar guitar line eventually builds to an apex. “Player” follows, a solid number with swirling guitars in a style reminiscent of hair metal’s Sunset Strip heyday. The Murderer’s Row songs are “India” and the title track. Of the two, “India” stands out as the more unique number for its House of Lords-esque soaring overtone (ironically, with David Glen Eisley providing the vocals), with crunchy guitars serving as the underpinning. “Skeletons in the Closet” is a more straightforward rocker, with the vocals more controlled, always almost-soaring but not quite; the result is the sort of building tension that’s the reason this style is frequented in the first place. 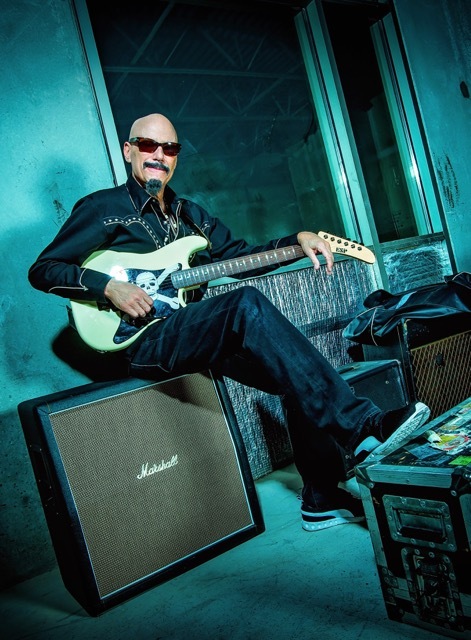 “Can’t Stop the Rock” is an old Bob Kulick-David Glen Eisley churning rocker that dates back to the pair’s work on “Sweet Victory” for SpongeBob. And the last two songs are Skull numbers. The first is quite probably my favorite song on the disc, “Guitar Commandos.” Dennis St. James’ just-slightly-gritty, insistent vocals perfectly punctuate the dueling guitarwork of brothers Bruce and Bob Kulick on this energetic tune, the perfect melodic metal backdrop to a movie chase scene. The disc’s last track, “Eyes of a Stranger,” reminds me of several ’80s bands, which is probably why I have such a hard time picking just one for comparison. 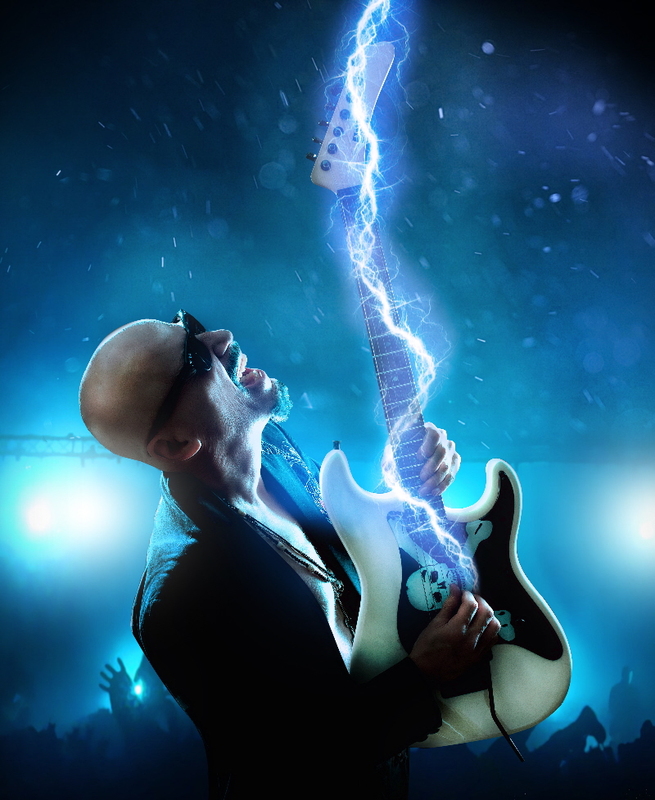 The pounding beat, occasional screeching guitar dancing through the song’s pulsing rhythm, and the tuneful vocals that hint at depth but, when given a choice, choose melody over emotion, rendering the vox a fourth instrument alongside guitar, bass, and drums – hence the almost orchestrally-arranged feeling of this and similar songs. From a pure musical standpoint, this is as pure a representation of the melodic metal raunch and roll era as any; a great way to end the disc, especially for those of us who appreciate the subgenre. In all, this is a great disc, but would you expect any less from Bob Kulick and the talent he assembled for it? Consistently amazing guitars from Bob, varied song styles, and top-shelf musicianship and powerful vocals served up a who’s who of heavy rock icons. So if this is your style, grab and enjoy Eyes of a Stranger. And, if you’re like me and don’t have parts of Bob’s back catalog, it’ll probably inspire you to dig around into his discography a little, too (starting with the discs from Murderer’s Row and Skull). This entry was posted in Album Reviews and tagged Album Review, Bob Kulick, Geoff Wilbur. Bookmark the permalink.